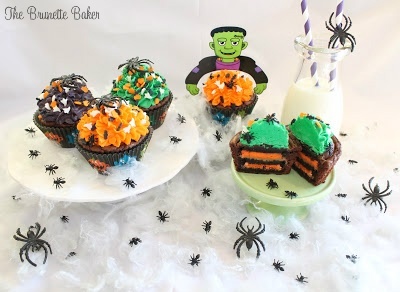 I'm a woman of few words these days, but I will say that if you're an Oreo, peanut butter, Biscoff, or brownie lover, then these are the treats for you - huge bonus if you love them all. Each component somehow manages to make the other taste even better than if they were on their own. Trust me, they're so good, it's scary. *If you can't find Biscoff spread, just double the amount of peanut butter. Preheat oven to 350ºF. Line a 12-cup muffin tin with paper liners. Prepare brownie mix according to package directions. 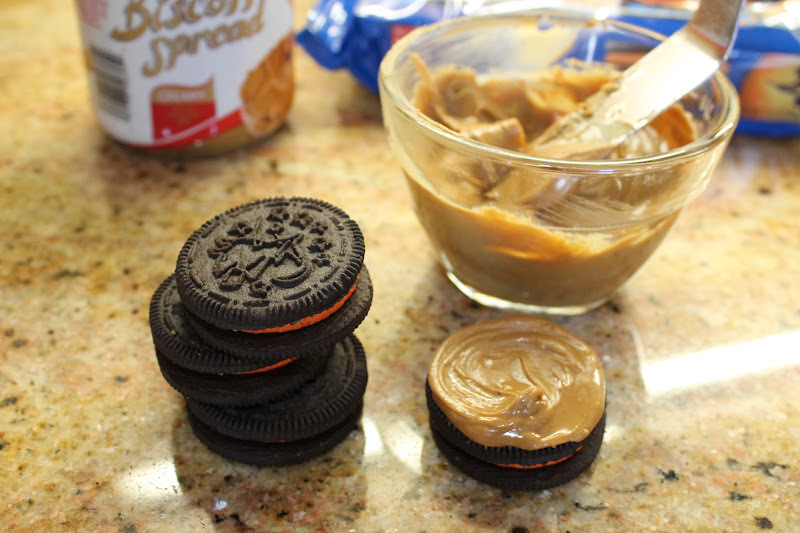 In another small bowl, combine peanut butter and Biscoff together. Using an offset spatula, spread a generous teaspoon of peanut butter mixture over the top of one Oreo cookie. 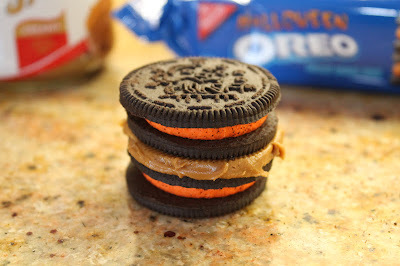 Place another Oreo cookie on top to sandwich. 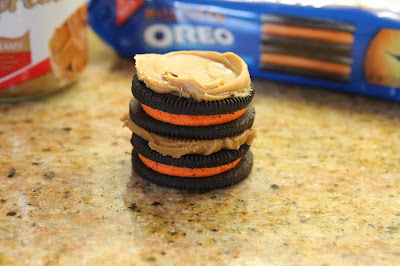 I also spread the peanut butter mixture over the top of several Oreos to change it up and add some extra peanut buttery biscoffy deliciousness. Place a generous teaspoon of brownie batter into the bottom of the cupcake liners. 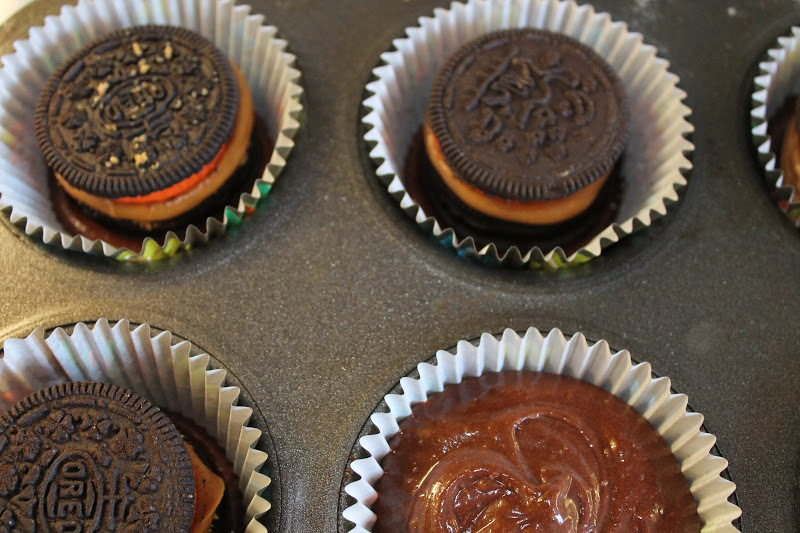 Place prepared Oreos into the cupcake tins. 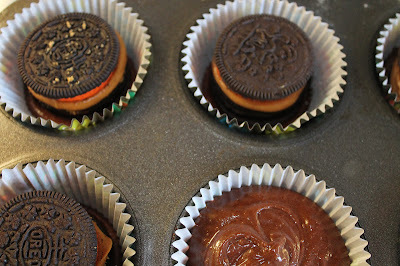 Spoon brownie batter onto Oreos and allow to run down the sides. Bake for 18 to 20 minutes. Mine took 18 minutes. Remove from oven and allow to cool for a few minutes. Transfer to a wire rack and allow to cool completely. 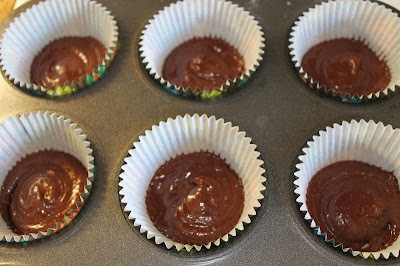 Prepare frosting and pipe or spread frosting onto brownie cupcakes. Decorate with sprinkles if desired.